Perhaps not the best cycling conditions? It was exhilarating to be down at the Parrog on Friday, wading through the car park, watching waves and this intrepid cyclist. There was some nasty damage though. 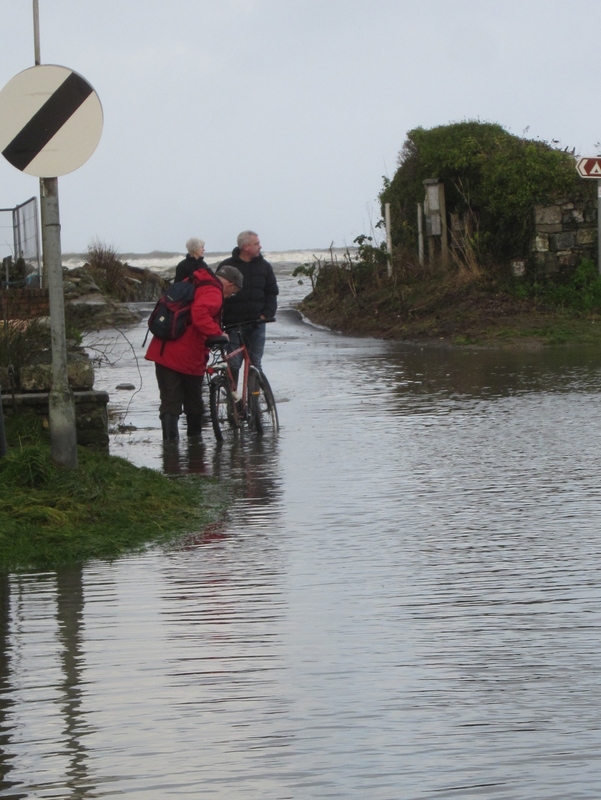 This entry was posted in Uncategorized and tagged cycling Parrog flood by Carningli Bike Hire. Bookmark the permalink.